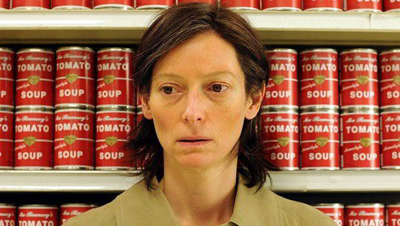 We Need to Talk About Kevin (Oscilloscope) — Lynne Ramsay’s We Need to Talk About Kevin is no less phantasmagorical than her similarly hallucinatory Morvern Callar, but with higher stakes. Tension—which is constant—is frequently announced sonically via high-pitched white noise and rumbling bass or, more often, through the color red: paint splattered on Eva’s window, stack upon stack of tomato soup. A harbinger as much as a hue, it’s a constant signifier of dread, confusion, and memories both beautiful and traumatic. This is a dense, overwhelming environment rife with stylistic flourishes doubling as sensory cues. The colors may not be monochrome, but the mood certainly is: deep unease. Read Michael Nordine’s full HTN review. Available on DVD , Blu-ray/DVD Combo , and at Amazon Instant . Hello Lonesome (Film Movement) — Available on DVD . Summer With Monika (Criterion) — Available on DVD and Blu-ray . Summer Interlude (Criterion) — Available on DVD and Blu-ray . Too Late Blues (Olive Films) — Available on DVD and Blu-ray . Goon (Magnolia Pictures) — Available on DVD , Blu-ray , and Blu-ray/DVD/Digital Copy Combo Pack . Sing Your Song: Harry Belafonte (New Video) — Available on DVD . Silver Tongues (Virgil Films and Entertainment) — Available on DVD . A Necessary Death (MPI Home Video) — Available on DVD .